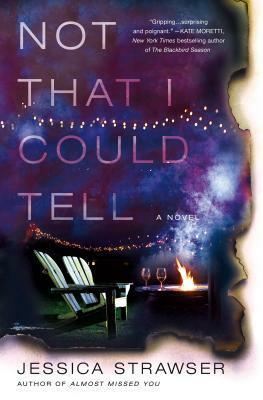 Not that I Could Tell by Jessica Strawser is one of the most intriguing drama mysteries that I’ve read. This was similar to Pretty Little Liars and Big Little Lies. A lot of deception is found, here on the pages. Just when the characters think they know everything, their neighborhood gets shaken upside down. Secrets, drama, and mystery were combined making this a page turner. I was deeply engrossed with the characters’ lives and how they were connected. My curiosity was snatched immediately by this writer. A group of women sit outside, sipping their wine. Too much to drink, and one of them disappeared. Nobody knows what happened to their missing neighbor or why. Kristen seemed to have the perfect life and a divorce that was just about closed, when she was found missing. The ending was sort of surprising in a way, but I kind of predicted what was going to happen. It felt like the same kind of plot as other books but on a grown adult level. The story was easy to get lost within…but like I said it was predictable in many ways due to similarities. Otherwise, great mystery novel.